Is there a reason not to? We haven't heard any (good ones). Here are a few reasons you might want to give a Butterfly Habitat a chance. People like butterflies. Butterflies invoke pleasure in most people. Their bright colors and seemingly carefree lives instill a sense of wonder and serenity. Butterflies are important to the environment. They pollinate plants and are the prey of other species. Conservation! The migrating Monarch population is decreasing. Part of the reason is the loss of breeding grounds. You can make a Butterfly Habitat ANYWHERE! Backyard? Yes. Balcony? Yup. Acres and acres of land? Oh yeah! If you need inspiration, drop by Texas Discovery Gardens' Native Butterfly Habitat! For starters you need a garden space. Choose a sunny spot. Butterflies are cold blooded and need warmth from the sun to fly. Research what species are in your area. Texas is home to about 450 species of butterflies. Due to the range of environments, not all species live throughout the state. What's puddling? Male butterflies visit the edges of puddles, streams and ponds for the water and nutrients vital for sexual maturity. Include a water feature such as a muddy-edged pond or bird bath. Now for the ORGANIC plants! 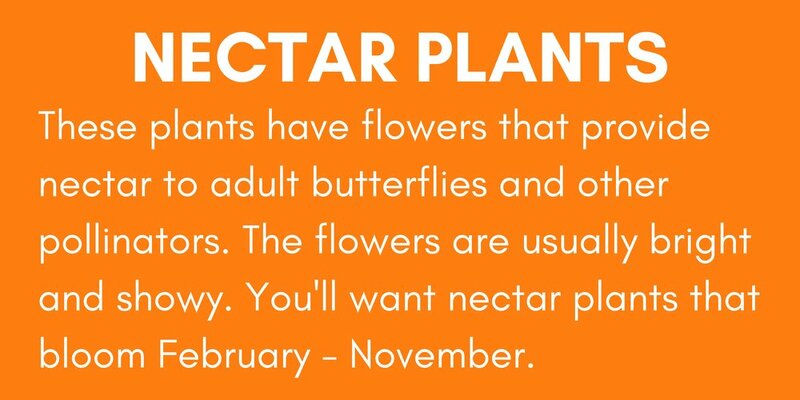 Your Butterfly Habitat will need two kinds of plants, nectar plants and host plants. What's the difference? Once your garden is all set up, apply for a butterfly habitat certification. 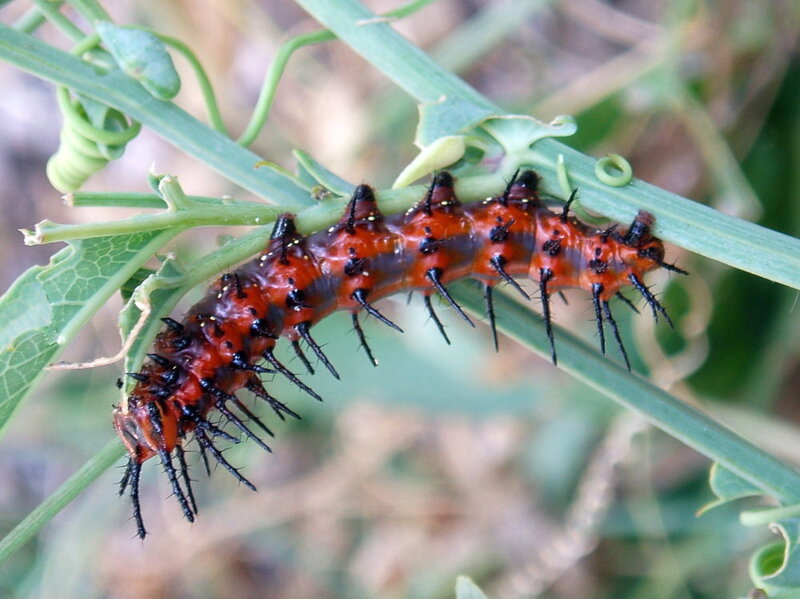 Plant 3-5 of each plant in order to accommodate hungry caterpillars! Some of these host plants also make great nectar plants for butterflies and other pollinators.